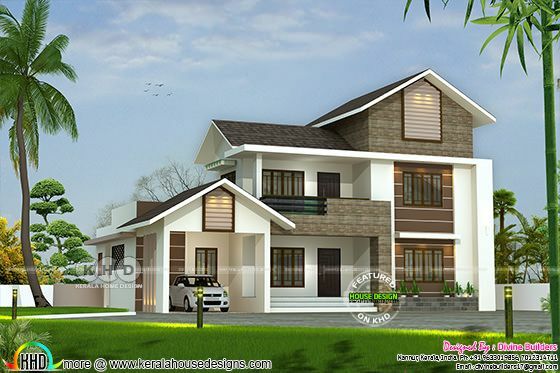 2892 Square Feet (269 Square Meter) (321 Square Yards) 4 bedroom mixed roof house with estimated cost. Design provided by Divine Builders from Kannur, Kerala. Ground floor area : 1698.12 Sq.Ft. First floor area : 1008.69 Sq.Ft. Porch area : 185.46 Sq.Ft. Total area : 2892.27 Sq.Ft. 0 comments on "$79,000 cost estimated double storied house plan"